Harry Potter opens with $159.7 million in its first five days. That is crazy. What's even crazier is that Transformers is still king for largest opening this year. Did anyone actually like Transformers? 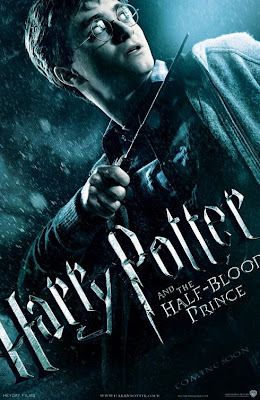 What did you think about Harry Potter and the Half-Blood Prince? I thought that Harry Potter the Half Blood Prince was pretty good as far as the effects were concerned.. But when I read the book I actually Cried; yes, I am a pansey when it comes to this stuff.. but my point is, the movie did not capture that feeling for me. I walked out of there thinking that it was a well done movie, but the movie I felt skipped over a few hundred pages and Dumbeldore was just dead! I haven't actually seen Transformers... but I used to enjoy the cartoon as a Kid.. and the whole metal (darkness in the movie), almost like Terminator didn't do it for me.. in the first one. And I heard from several people that they didn't enjoy the 2nd one.. Not sure if I'll even go to the theatres to watch it. I may just wait for it to come out on DVD.